We support some of the UK’s largest care home groups, helping to provide an excellent standard of care for their residents. Our comprehensive range of moving, handling and bathing solutions ensure safety, dignity and comfort for residents, as well as safety for carers during use. We provide long term care product solutions for a variety of needs and budgets through our Prism, Freeway and Mackworth brands, all while never compromising on safety or quality materials. Many of our products can also be used to provide single-handed care, which can help with further budgetary savings, as well as improving privacy and continuity of care for residents. Products we typically provide for care homes include shower chairs, assisted baths, mobile hoists, ceiling track hoists, slings and gantry systems, though full ranges of moving, handling and bathing products are available, including bed management systems and assisted toileting. For care homes with a large amount of specialist equipment, a comprehensive service and repair programme that ensures all regulations and requirements are met is essential. 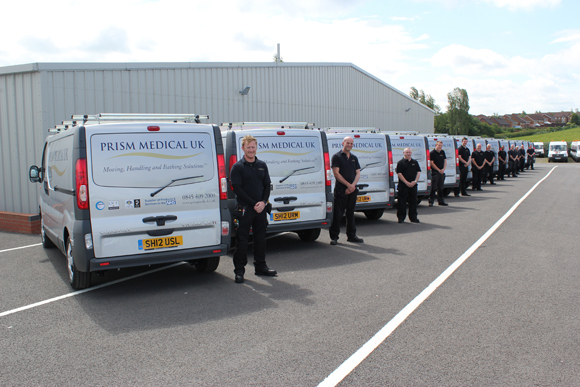 Prism has one of the largest teams of experienced engineers in the UK, operating from our regional service centres. Our team can provide service and repair for all manufacturers of moving, handling and bathing products, with options available for an emergency 24/7 callout service.